Need help? Think SIMPLE. 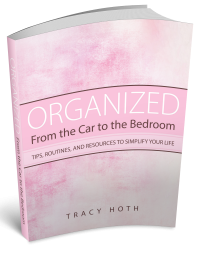 A Simple Organizing Solution Is Best. 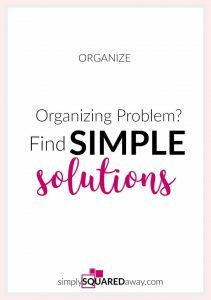 When you have an organizing problem and need a solution the best solution is the SIMPLE solution. A solution that will work for you long term will most likely be VERY simple. 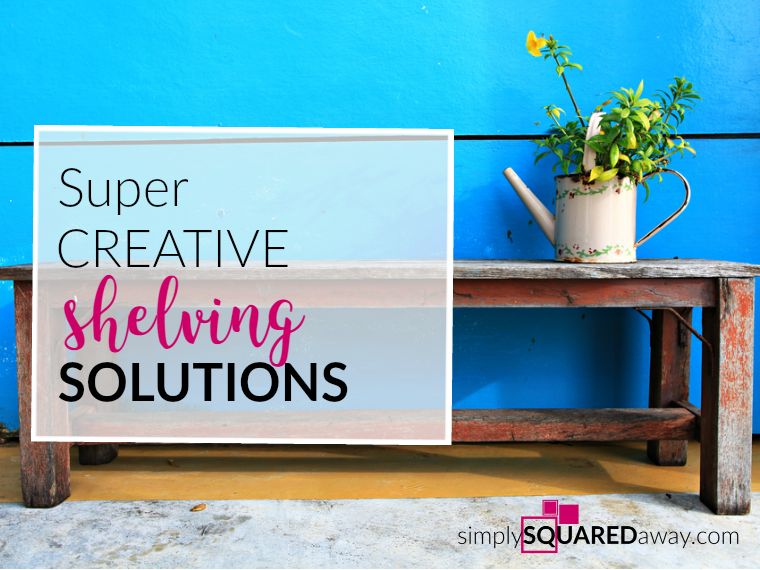 The more simple the solution the more likely you will be to implement and keep using it. Never buy a system that is complicated. And, definitely don’t think that your family will be motivated or able to keep up a complicated system. 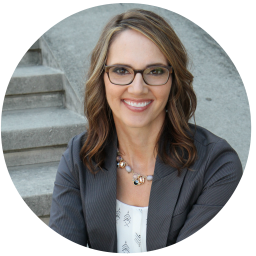 I love helping my clients come up with solutions to their challenges. But, it is equally exciting when my clients come up with their own solutions. 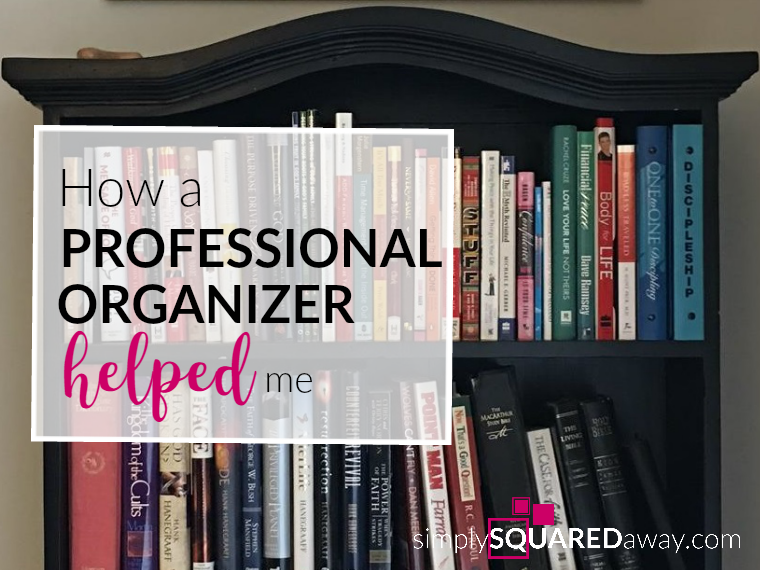 I especially love when I arrive for an organizing session and they are so excited to show me the progress they made on their own…even a system they put into place that is working for their family! My client has 3 children and with three kids come a lot of toys! Toys were in the living room and all over the bedroom and in a couple other rooms. An obvious solution is to get rid of the toys so you don’t have to deal with them. But, who does that? There they sit in a row under the window. Here is the great part… Each night the kids grab a bucket and walk through the house gathering their toys in their bucket and putting them back into their toy bin under the window! Simple – toys go in bin!. 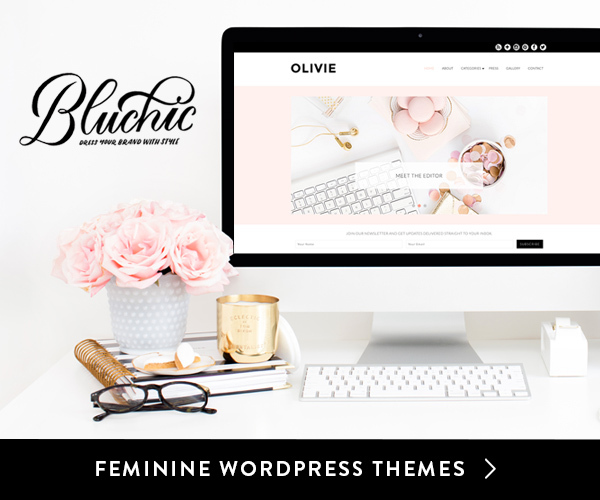 There are minimal parts – 3 tubs, 3 buckets and a lock! 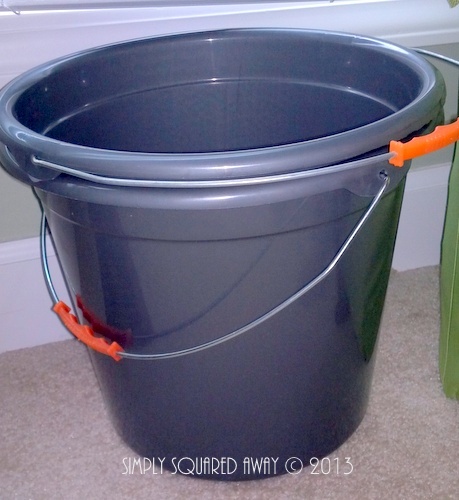 There is a simple routine involved to maintain it – pick up toys around the house using a fun bucket. 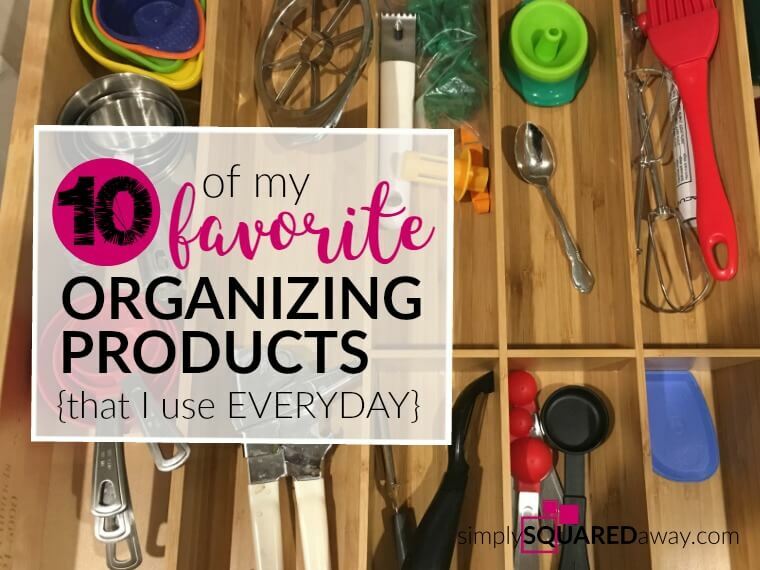 Teaching is involved – if the child wants a different toy to play with from the locked closet they have to decide which toy from their tub they want to exchange for it…like a toy library! 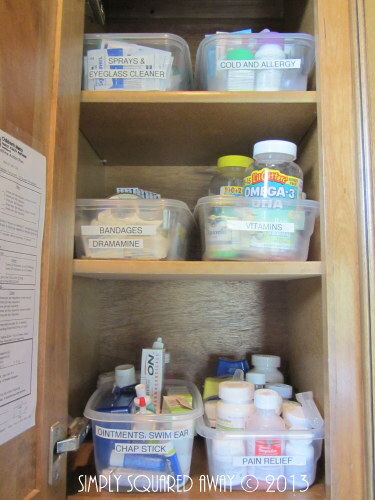 Simple solution – use disposable containers in a cabinet. Simple labels grouping like with like. Notice she used inside the cabinet door for some medical instructions she didn’t want to throw away. 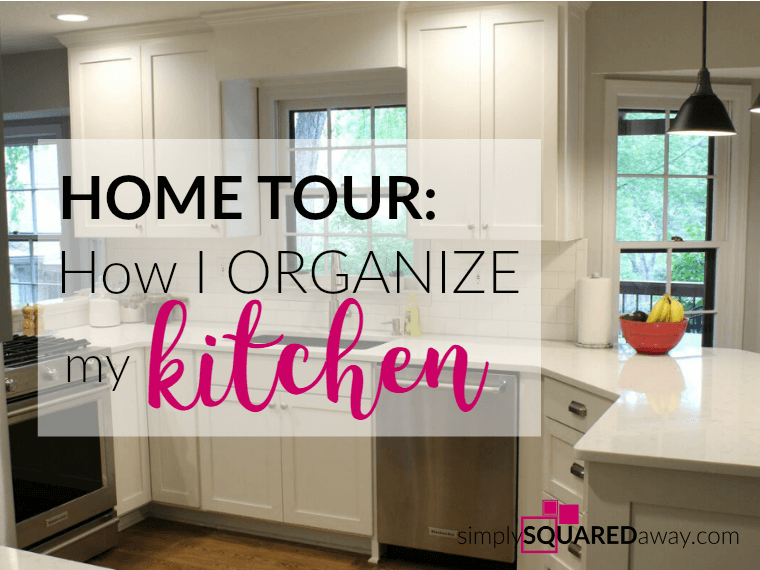 Inside cabinet doors are valuable spaces that people often forget. And, that was not all. 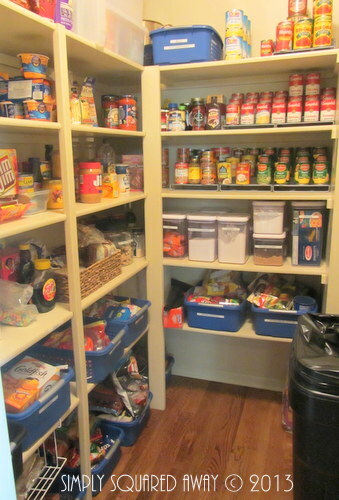 She showed me her pantry – simple, blue tubs from Wal-Mart. Don’t you love it! Simple solution. 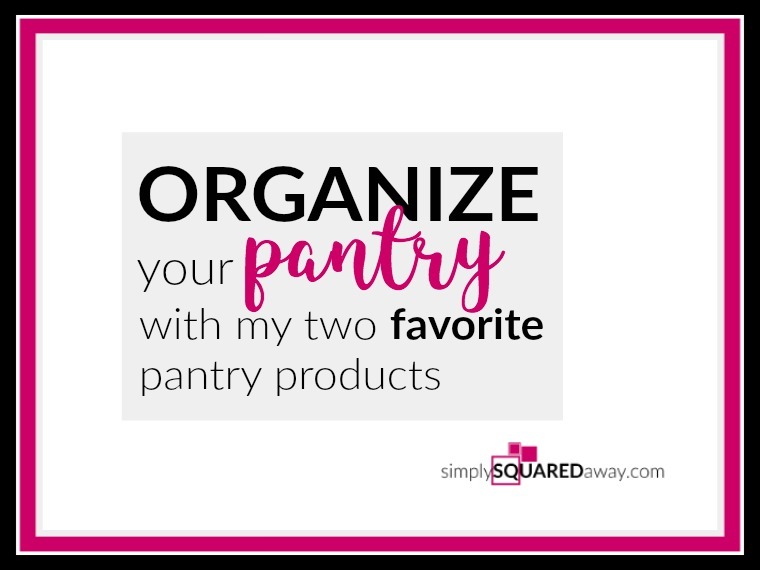 Simple – Get a bunch of matching bins, label them and dump in like items with like items as soon as you get home from the grocery store – snacks, lunch box items, pasta, crackers, chips, etc. Using the can risers make the cans visually appealing, too. She said that her five boys were most excited to see the labels! Now they know where to put things and where to find things. Empty out boxes into bins as much as possible. It keeps ripped up, half empty boxes off the shelves and you can see exactly what you have. 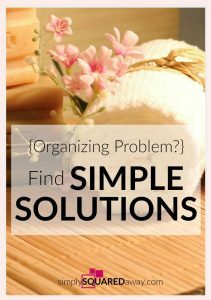 What organizing problem(s) are you having that you need to find a solution to? 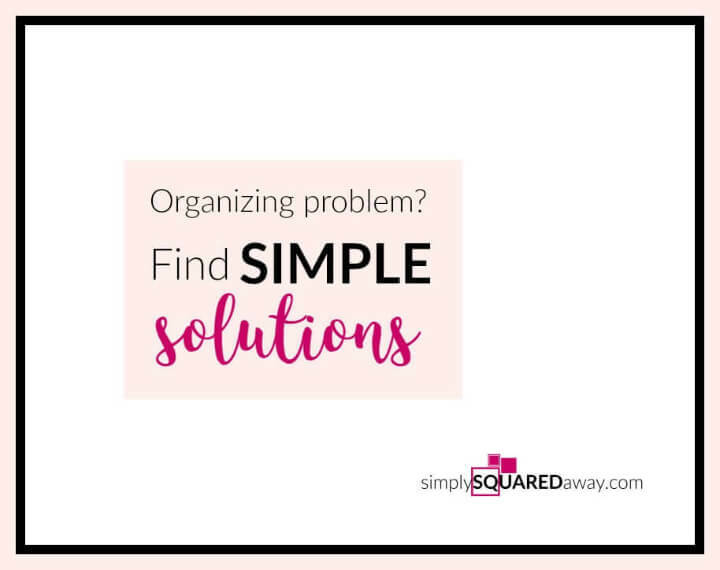 Post your organizing challenge and/or solution in the comments!